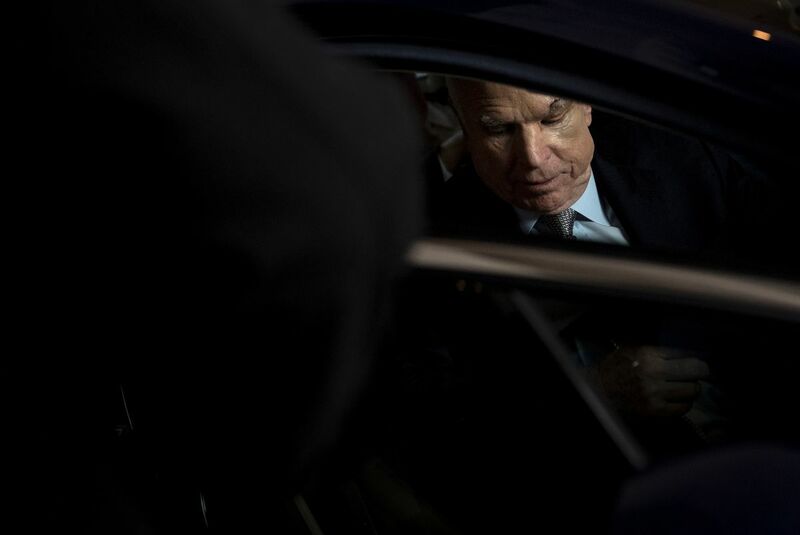 Senator John McCain (R-Arizona) leaves after a procedural vote on health care on Capitol Hill on July 25th, 2017, in Washington, D.C. When Amy Jones&apos; dad, Paul, was diagnosed with glioblastoma last month, she wondered whether it might be tied to his time in Vietnam. Then, last week, when Senator John McCain (R-Arizona), also a Vietnam veteran, was diagnosed with the same aggressive brain cancer, Jones searched online for glioblastoma and Vietnam vets. "Honestly, it&apos;s not easy to even admit that this is happening, let alone to even talk about it," said Jones, whose 68-year-old father has had surgery to remove a brain tumor and now is receiving radiation treatments. "It&apos;s only been six weeks. It&apos;s such a devastating diagnosis." McCain&apos;s diagnosis comes as the Department of Veterans Affairs (VA) is under increased pressure to broaden who&apos;s eligible for Agent Orange-related compensation. 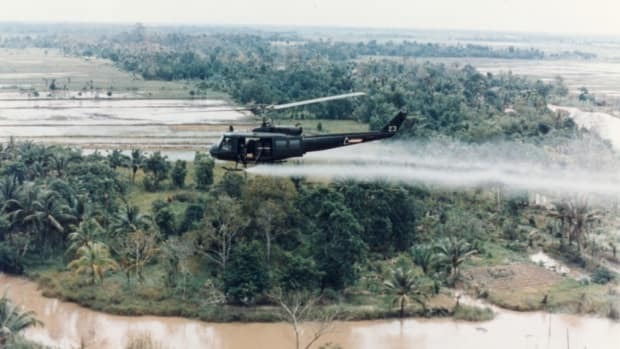 During the war, the military sprayed millions of gallons of the herbicide in Vietnam to kill enemy-covering jungle brush, and, in the process, may have exposed as many as 2.6 million United States service members—including McCain. News of his illness has prompted Amy Jones and others to call on the VA to study a possible connection between their loved ones&apos; Agent Orange exposure and glioblastoma. 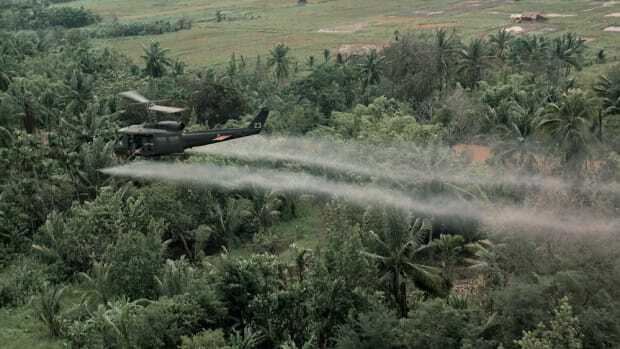 Under current policy, the agency makes disability payments to veterans who develop one of 14 health conditions, but only if they can prove they served on the ground in Vietnam, where the chemicals were sprayed. 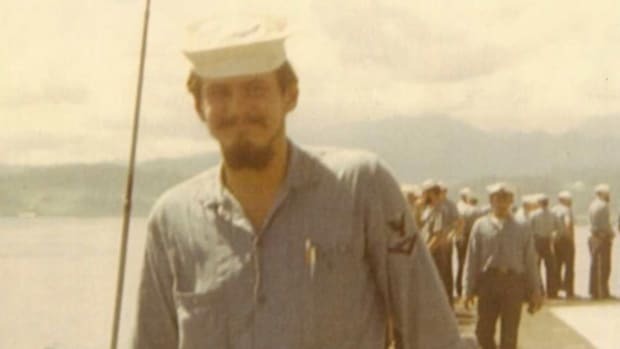 Veterans who served off the coast in the Navy and those with other diseases not on the list—such as brain cancer—are left to fight the agency for compensation on a case-by-case basis. Those with glioblastoma—or widows seeking survivor benefits—must prove the disease was "at least as likely as not" caused by Agent Orange, a cumbersome process that often takes years and more times than not results in denial. Although McCain primarily served at sea from the deck of an aircraft carrier—and survived more than five years in a prison camp after his plane was shot down over North Vietnam—the VA would presume he was exposed to Agent Orange because he also spent time on the ground in Saigon. The goal, McCain said in a floor speech, was to ensure that veterans who actually deserved compensation received it, "but at the same time not have a situation where it is an open-ended expenditure of taxpayers&apos; dollars." The amendment was defeated—and, since then, Vietnam vet disability payments have grown to $24 billion a year—and the episode damaged McCain&apos;s reputation with veterans groups. VA data provided to ProPublica last fall shows that more than 500 Vietnam-era veterans have been diagnosed with glioblastoma at VA health facilities since 2000. That doesn&apos;t include the unknown number diagnosed at private facilities. ProPublica and the Virginian-Pilot reported last year how widows of Vietnam vets were banding together to push the VA to add glioblastoma to its list of diseases linked to Agent Orange. Through a Facebook group, they support one another and offer advice on navigating the VA&apos;s labyrinthian process for seeking disability and survivor benefits. Since news of McCain&apos;s illness broke last week, dozens like Jones have joined the group, whose members mostly include widows and surviving relatives, but also some veterans living with the disease. "Every one of us, our phones were blowing up the day it came out" that McCain had glioblastoma, said Kathy Carroll-Josenhans, one of the group&apos;s leaders. Brad Riddell, a 35-year-old communications specialist living in Austin, Texas, is not a member of the Facebook group but immediately thought of his father when he heard about McCain&apos;s illness. 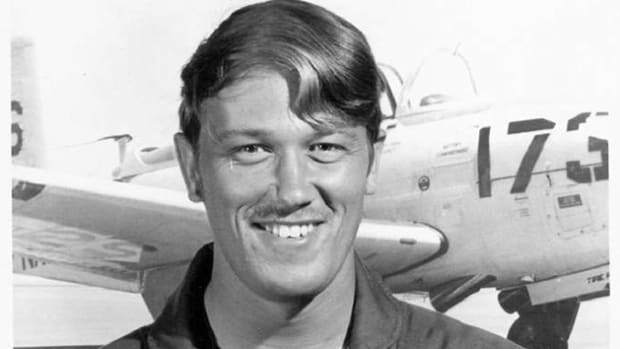 His dad, Jerry Riddell, served in a Navy construction battalion in Da Nang during the war and routinely came in contact with Agent Orange, which was used to clear brush before paving roads and runways. His father endured three surgeries—including two at MD Anderson Cancer Center in Houston—before doctors told him there was nothing more they could do. He entered hospice and died in February of 1999, just 14 months after the diagnosis. "I absolutely thought about dad when I heard about McCain," Riddell said. "Anytime I hear that diagnosis, it just feels like, &apos;Man, that person is a goner.&apos; It&apos;s terrible." 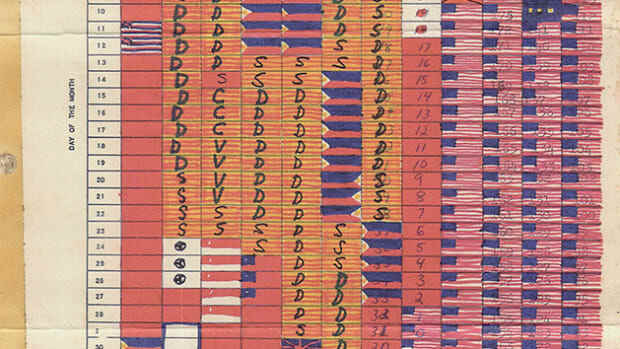 After his father&apos;s death, Riddell&apos;s mother gave him a bag of his military records and told him to hold onto them: "She said, &apos;You need to have all these records in case there&apos;s ever a connection made between your dad&apos;s cancer and Agent Orange.&apos;"
In the wake of the McCain news, Riddell wonders if it&apos;s time to pull the records out. Heidi Spencer had a similar revelation a year ago. Her father, Jack Niedermeyer, died of glioblastoma at age 58 in June of 2004. Her mother didn&apos;t think to apply for benefits until last year when someone at the local Veterans of Foreign Wars post where she works suggested it. Spencer helped her mom fill out the application and the VA approved it in March. 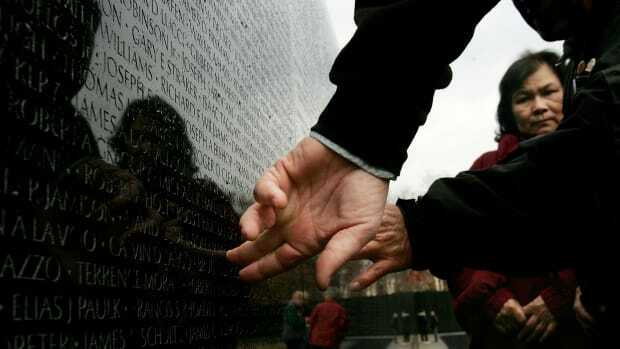 "He never knew his cancer came from Agent Orange. He never talked about his service," she said of her dad, who worked in a steel mill in Pittsburgh and had six kids. Spencer, 42, found her dad&apos;s commanding officer in the Marine Corps, who wrote a letter saying her dad had been sprayed by Agent Orange. "The more you research it, the more it comes into light," she said. "The VA needs to look at this, they need to link it and they need to look at his [McCain&apos;s] diagnosis and whether or not the Vietnam War played a role in him getting his disease." In approving her mom&apos;s claim, the VA wrote that glioblastoma was not recognized as a disease that automatically warranted benefits linked to Agent Orange but that "current medical research has shown a causal relationship between herbicide exposure and glioblastoma multiforme." This is contrary to the VA&apos;s official policy. Regardless of McCain&apos;s position on the matter, advocates hope his diagnosis will spark a conversation. In a statement last week, John Rowan, the president of Vietnam Veterans of America, said he was saddened to learn "yet another Vietnam veteran" had been diagnosed with glioblastoma. "Unfortunately, brain cancer is not on the presumptive list for exposure to Agent Orange," Rowan said in a statement, "despite the efforts of our fellow veterans and their family members." This post originally appeared on ProPublica as "McCain&apos;s Brain Cancer Draws Renewed Attention to Possible Agent Orange Connection" and is republished here under a Creative Commons license.